Bantu refers to a large, complex linguistic grouping of peoples in Africa. Swahili is the most widely spoken language among the Bantu. The Swahili Bantu people cluster encompasses Bantu people who speak Swahili. The Bantu Swahili diaspora reside in almost 20 countries in the world. Therefore, they are well dispersed and continue to migrate throughout the world. The majority of the Bantu diaspora tend to settle in major metro areas. This is often the case in North America. They are matriarchal and family or clan oriented. They observe the normal Islamic celebrations, but the various groups also have dances and festivals from their Bantu cultural roots. They are renowned as sailors, traders and artisans. They are a welcoming and hospitable people and seem to enjoy meeting people from other places and cultures. They are traditional Sunni Muslims, mostly Shafiite on the East Africa coast. Pray evangelical Christians will intentional examine and discover the Bantu within their metro area. 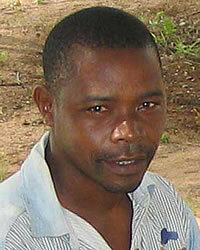 Pray that God will prepare the hearts and minds of Bantu to hear and understand the message of Jesus Christ.